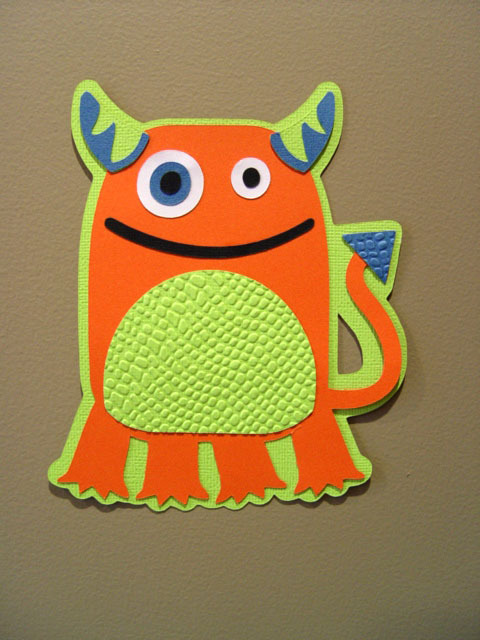 My five-year old son wanted a Monster birthday party. 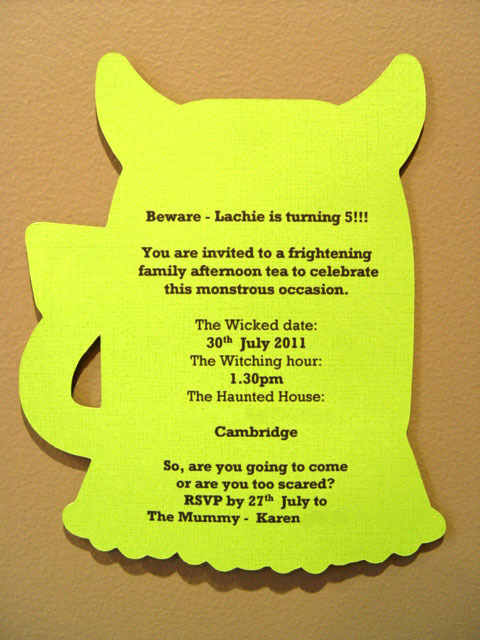 He's into monsters in a big way and I thought it pretty apt for a five-year boys party! 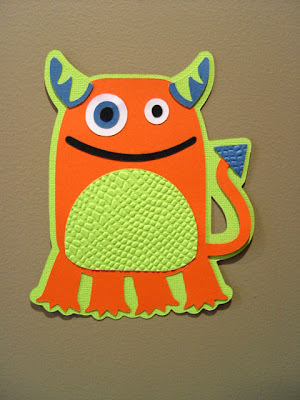 I made the invites and loot bags using Cricut cartridge 'Mini Monsters'. I decorated balloons with googly eyes and horns (cut using the Cricut again). Party food (which I wish I'd taken photos of!!!) 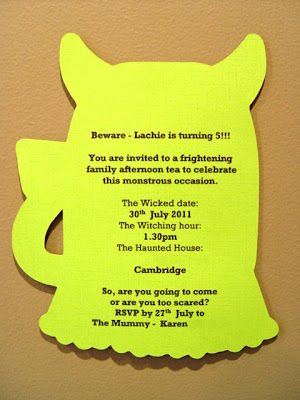 included monster cupcakes, snakes in jelly and plastic insects in ice blocks. The cake was a large rounded cake with piped butter icing, ice-cream cone horns, marshmallow eyes, white chocolate teeth and a spineful of birthday candles.